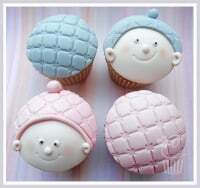 Often a cupcake or a cupcake decoration just needs a little something extra. 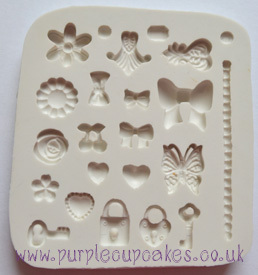 Look no further, this fabulous mould offers you 23 different embellishments to suit every need! With 5 different little bows, 2 lockets and keys, flowers and even a chain you will always have the added little details you need. 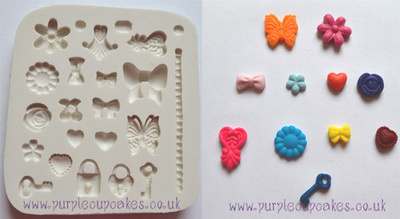 Also ideal for modelling chocolate and marzipan.